And when you don’t want to use normal wheat flour using nut flours tend to be the next best option but as I have researched more about things I have become less enamored by heating nut flour up to high temperature (done in baking) due to the increased amounts of oxalates present in the nuts which are not good for those who have an unhappy gut or for those following diets like GAPS or treating any auto immune disease through diet. Also let me honest I do love a challenge so when I had the thought in bed of making a no bake, raw mince pie I jumped at the chance and these are one super tasty success. Joe, my husband and pie fan says they are super tasty so they past the ultimate taste challenge! These use my mince meat recipe that I gave you last year (so tasty and super simple) which you can get by clicking here. Plus they will store in the fridge for ages, like traditional ones do and did I tell you they tasted amazing?? 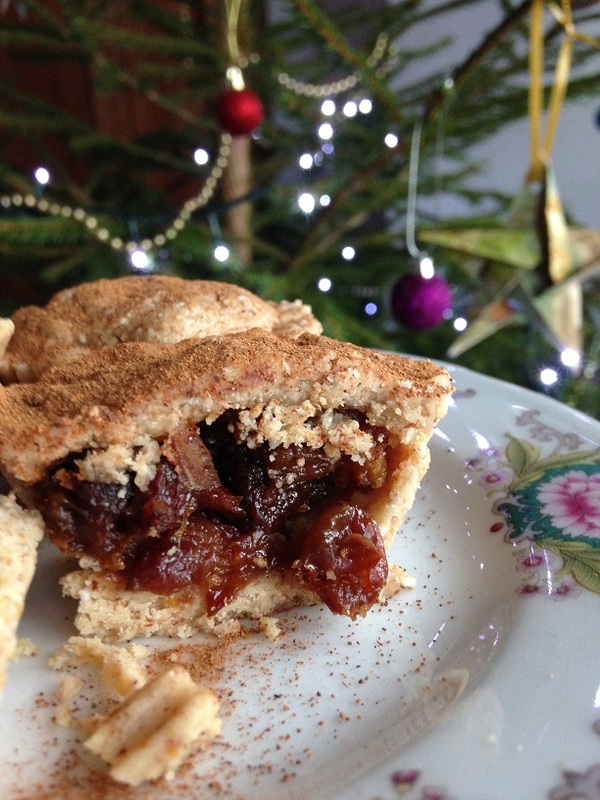 So although mince pies are never going to be one super healthy food due to the high fructose content of the mince meat these are as close as they are going to get to be a superfood. The ‘pastry’ is make from raw almond so full of calcium and other goodness, coconut oil – great for your skin and metabolism. Winner! So why not make a batch and have something truly tasty and satisfying without the junk and be super naturally kind to your body this festive season:) These are definitely what I will be munching on as I sit and watch Christmas classics like Elf, Its a Wonderful Life and Die Hard. 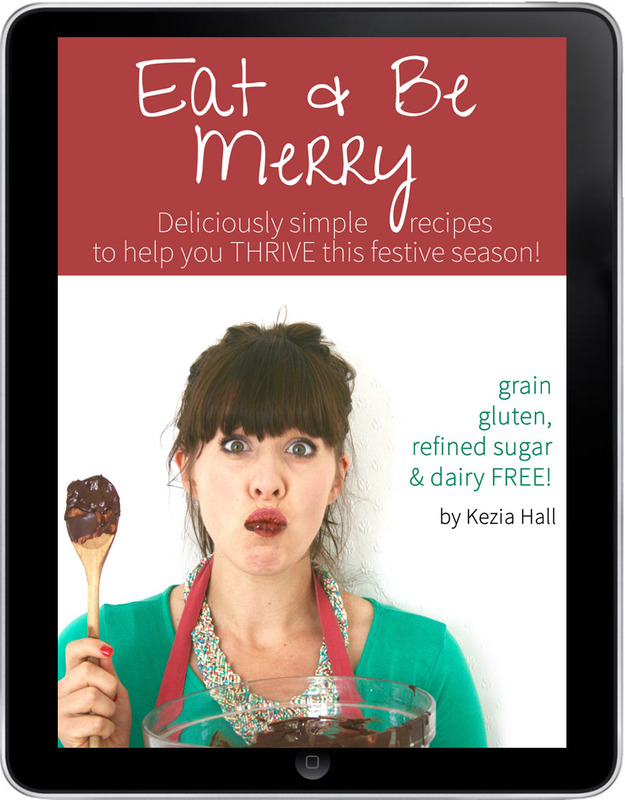 And if like the look of this recipes and want more festive but healthy recipes to snack on over the winter months then make sure you check out my Eat & Be Merry recipe ebook with over 25+ recipes to ensure you THRIVE this festive season. All gluten, grain, refined sugar and crap free these are the perfect way to enjoy some treats without putting on tons of weight or feeling like a winter whale! Click here to find out more about Eat & Be Merry! 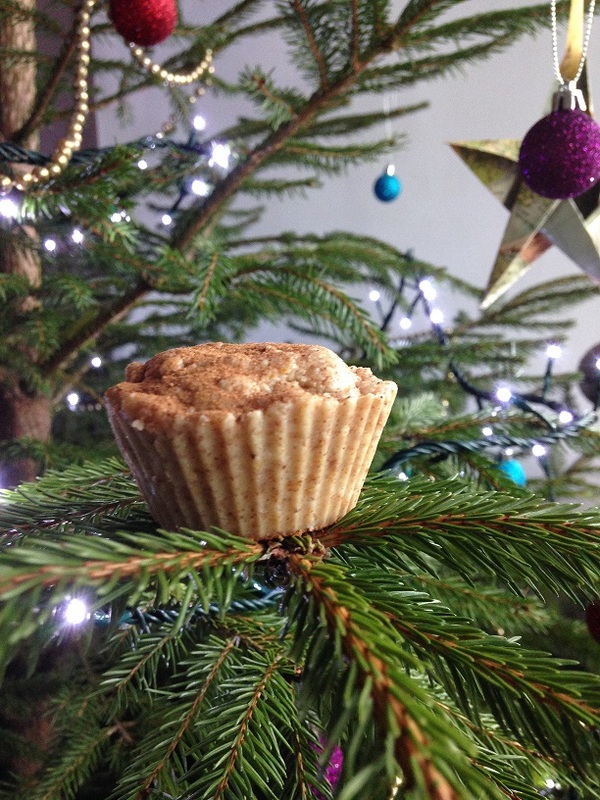 Easy gluten grains and sugar free mince pies perfect for GAPS SCD or Paleo diets. In a food processor blend the nuts until broken apart and they are a finer texture. Then add the coconut oil, creamed coconut, zest, salt and honey. Then add the desiccated coconut. Bring the mixture into a ball shape and wrap in sling film and place in fridge for about 10 minutes. Then grab small handful of the mixture and press into cupcake/muffin cases, making it as even as possible. Make sure you leave some mixture to make tops for the mince pies if desired. Then fill with mince meat and cover with pieces of the 'pastry'. *I soaked my almond for 12 hours then dehydrated in oven at 80c for 8-10 hours as this make the nuts far more digestible and tasty too! If you forget about the 'pastry' and it goes hard just warm it within your hands. What are your favourite festive foods? Im so excited to try this you don’t understand!